I believe in a holistic approach to education, focusing on the nurturing of children as social, inquisitive and confident beings who love to learn. I also think that it is important to have a balance of adult led and child initiated learning so that children can be intentionally taught new things but be able to consolidate and embed that learning in their own way. It is essential, as an educator, to be passionate, enthusiastic and skilful in enabling children to develop and flourish as happy, capable learners. I am from rainy England, so feel very at home here in the Eastern Suburbs with all the others who have escaped to the sun! I have always loved working with children and one of my most interesting jobs as a student was being a fairy for a Santa's grotto in a shopping centre! I studied Psychology at university with the intention of using it in education so went on to train as a teacher. 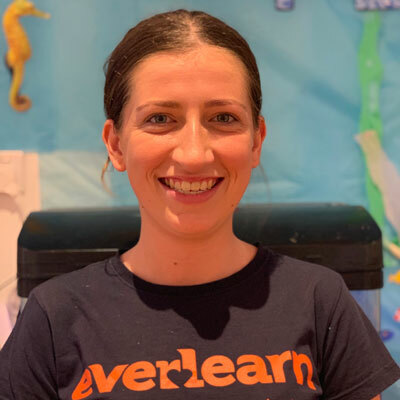 I lived and worked in London as a Primary school teacher before moving here in 2011 and have been happily part of the Everlearn family ever since. 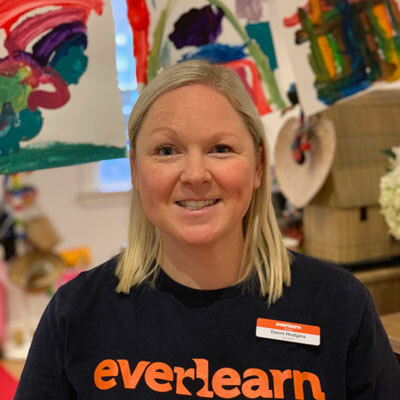 I feel privileged to be part of the Everlearn Preschool Clovelly team, and love working in the caring and happy atmosphere that we have created for the children. For me, working with children is to nurture and inspire their early curiosity into a love for learning. I enjoy getting to know each child as an individual and helping to guide their development. For all children, I encourage confidence and positivity, an eagerness to learn and try new things, with pride in themselves and care for others. I look forward to creating days filled with fun, kindness and learning for each of your children. 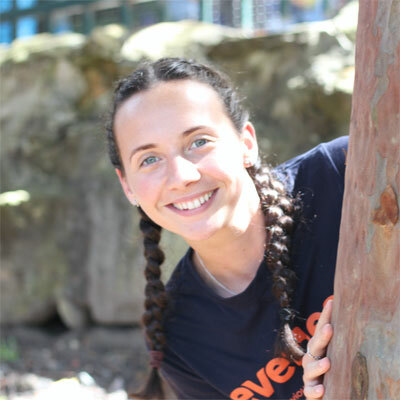 My favourite colour is orange (or it has been since joining Everlearn). My favourite food is watermelon and I can’t wait to taste the delicious vegetables that we are growing in our garden at preschool too. I trained as a Primary and Early Childhood Teacher in England, and have previously worked as a school class teacher and as a live-in nanny. I love living in and exploring Sydney and in particular doing the beautiful coastal walks. 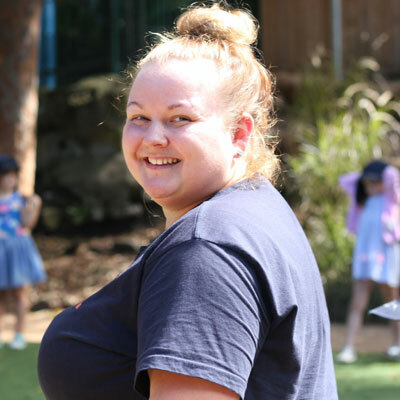 I believe as an early childhood educator I am responsible for giving my group the opportunity to make their own choices in an environment that is stimulating, safe and enriching whilst providing positive learning experiences. I try to model the correct behavior to the children by being patient, caring, respectful and encouraging to all children and adults that I come into contact with. I believe that children see the world in a different way and we as educators need to allow them to explore and experiment with their environment to discover their own theories and perspectives. Furthermore I believe that children are great resourceful learners who need a mixture of natural materials to play and explore. I grew up in Coogee with my sister and parents and have lived here my whole life. I come from a large family who are all very important to me. My family have always installed kindness and forgiveness of others. My family is definitely where my love of children came from as there was always children around. When I was three and was asked what was I going to be when I grew up I said a teacher and that never changed. I always dreamt of being a teacher and when I graduated from University, it became a reality! Managing the office at Everlearn for a number of years now has given me the privilege of getting to know many wonderful local families. 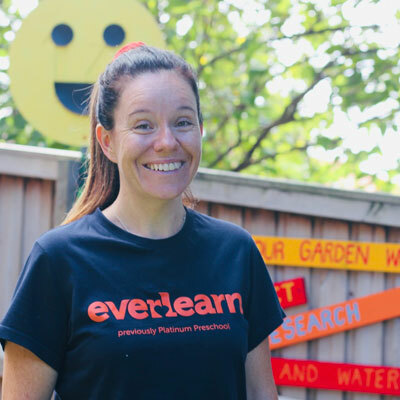 I really believe that catering to the needs of each individual child in our care at Everlearn means getting to know and supporting their whole family. Sometimes life can be very busy for families, there are a million and one things to juggle. We are not only here to care and educate the children in our community, but also to act as an extended support network to their family and to occasionally help catch some of those juggling balls. The preschool has always been about the community and the atmosphere we create for our children and their families is definitely one of a 'village'. I always look forward to welcome new families into our little village and hope to be able to support you in your time at Everlearn. I believe in a holistic approach to early education by nurturing agency and natural curiosity in children in a warm holistic environment that stimulates their senses. I aim to do this by creating an environment that is open and inviting, and not only answering their ‘why’, ‘what’, and ‘how’, but by guiding them to think and search for the answers to their questions so that they may become critical thinking citizens of the world. I have grown up in Clovelly and have been to school locally with my brother and sister. Growing up, I have always been taught that kindness is a virtue you not only share with your friends and family, but also the things that do and do not belong to you. One of my favourite things my mum taught me as a child I did not appreciate until much later “If you have only 2 grains of rice, and both you and your brother are hungry. Remember that choosing to not share you receive resentment. By choosing to share you receive gratitude. Kindness can be as small as a grain of rice. My name is Jessie (Miss Bilton). I moved to Australia from England two years ago where I studied my Bachelor Of Arts in Playwork. 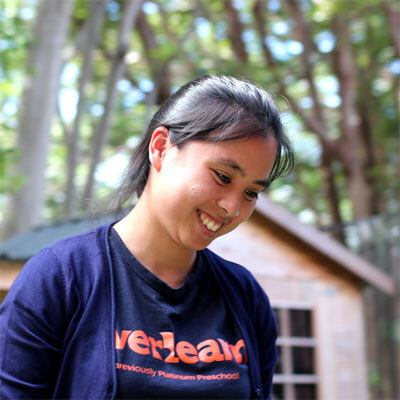 I have had the pleasure of working at Everlearn since then. I am passionate about Learning Through Play and Developing Through Play and demonstrate this in my work with the children. 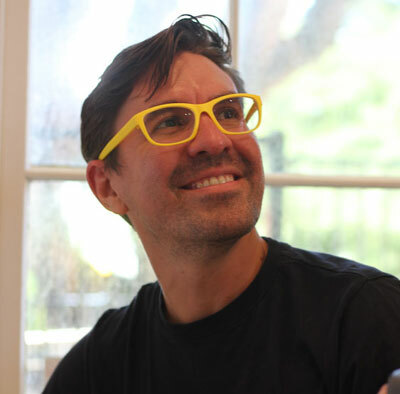 I have been with Everlearn for 9 years now and spent the last four years teaching Move and Groove. I have particularly enjoyed teaching dance and putting the Christmas Concerts together. Prior to that my subject group areas were Problem Solving and Our World. I look forward to teaching Communications this year and getting to know the children and families in my group. As an early childhood teacher, I aim to cater for my students' emotional, intellectual, spiritual and social needs. I aspire to create a learning environment that is supportive, caring, happy, stimulating and challenging, and which caters for the individual needs and learning styles of the students. I believe in the importance of relationships. Parents, staff and children need to work together in order to provide the best education for the students. My role as a teacher is to make learning enjoyable, meaningful experience and to facilitate and assist learning. I believe preschool should be a safe nurturing environment that provides children with endless opportunities to explore, discover, grow and develop life long skills. For myself I see teaching as a partnership of providing fun opportunities for continual learning and growth through a balance of adult and child initiated learning experiences. 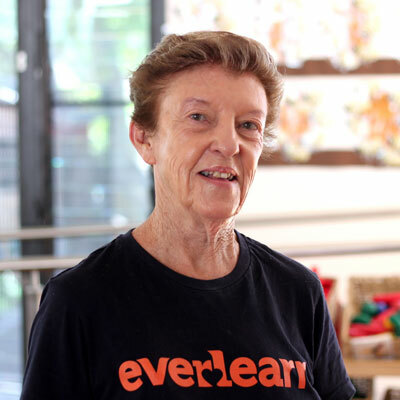 My name is Cindy Hannigan I've worked at Everlearn Clovelly since it opened. I am a mother of four beautiful (but big children, 24, 22, 20 and 16) and have a super supportive husband. 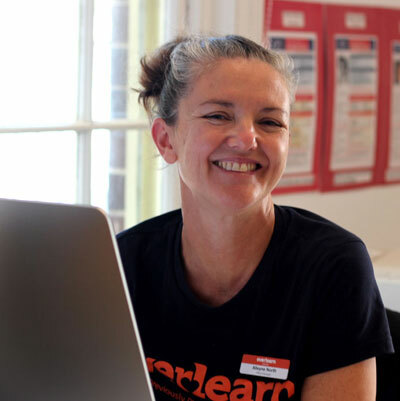 I have a Diploma of Education-Primary and over 20yrs of experience teaching in schools within the eastern suburbs of Sydney. I also hold a Certificate III in Early Childhood Education and Care. My focus group for this year will be Navy Group, within the Art and Craft area. My aim everyday is to provide a learning environment for your children in which every child is happy, respected and valued. I believe that children learn and grow best when given the opportunity to play and learn within a supportive and caring environment, where everyday is filled with fun and laughter. As a childhood educator I see children as unique and capable individuals who come to this centre with their own interests, talents, skills and ideas. 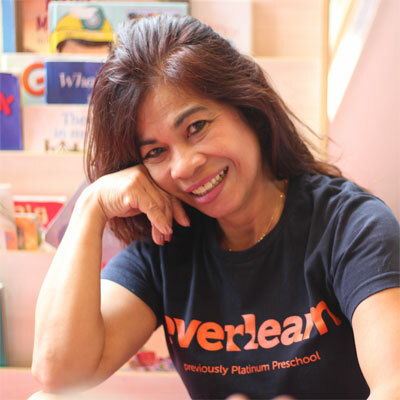 As a passionate childhood educator my goal is to provide children with a safe and warm environment where they can explore themselves, take risks and grow as individuals. I aim to deliver this through high quality play based learning programmes, critical reflection and working in partnership with parents. I am a big believer in the importance of working in partnership with parents towards common goals to ensure consistency and routine in the lives of children and I consider my relationship with parents and families as equally important. Adopting a child centered approach to my work is something I value and strive to achieve on a daily basis. I remember reading recently that in order for an adult to gain an understanding of what it is like for a toddler attending a childcare setting for the first time it may be beneficial to consider the toddler as a tourist in a foreign country. As many of us know from experience being in a strange country can be a daunting and intimidating experience where there are different customs, rules and sometimes language barriers. Looking at children from this point of view allowed me to better understand children's behaviour and emphasise with them allowing me to adopt a child centered approach to my work and build trusting supportive relationships with the children I work with. I recognise the importance of play and it's role in childhood development and I strive to create meaningful play experiences for children. I do this by firstly acknowledging the interests of children and then exploring unique creative approaches that will explore and develop this interest further. I am a huge fan of sensory play and the many benefits it offers. I view sensory play as a fun, age appropriate, open ended activity that doesn't require a particular skill set allowing children to explore their senses comfortably. I am extremely passionate about the work I do and love watching children grow and progress from week to week. I find the work I do very rewarding and look forward to becoming part of more children's educational journeys. I come from a small town in the South of Ireland. I currently hold a Bachelor of Arts in Youth and Community Work practice along with a Diploma in Early Childhood Education and Care. I have always enjoyed working with children and young people and worked as a nanny in Ireland for a number of years. 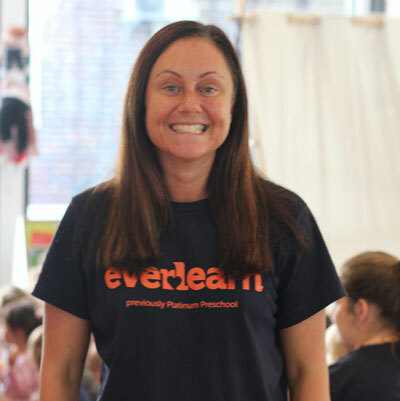 I came to Australia two years ago and began working with Everlearn Preschool and I absolutely love what I do. I believe that children are our future and we can learn a lot from their inquisitive nature and their zest for life. I believe that all children are equal and they all have a voice and should be heard. I encourage children to try things at least once and believe in the power of role modelling. I heard a saying only a few days ago that really made me smile ""Flowers may bloom again, but a person never has the chance to be young again"" It really made me think about the small things, jump in puddles, get dirty and fit as much as you can into each day. I have been working as an early childhood educator since i finished high school in 2001. From a very young age i knew i would be working with children, they have always been my passion. In primary school we were asked to come dressed as what we wanted to be when we grew up, and I dressed up as a mother. I am now lucky enough to have a little boy who is able to be a part of the Everlearn community too. Starting a family didn't come easy for us, but it really has made me cherish every moment with Joey and the importance of time with loved ones. I believe that every child has the chance to bring something new and special into the world. I enjoy seeing the children grow and blossom into little versions of who they will become later in life. For me preschool should be about having fun, learning and discovering through play. Preschool should be somewhere the children feel safe and enjoy their time there. Hi my name is Vicki, I am from England and moved here with my husband in 2016. I am the youngest child of 5 and have been blessed with many nieces and nephews. I am a big chatterbox and will often be found being silly somewhere. I have been working in daycare settings for over 5 years and I have really enjoyed watching children around me grow and blossom. I believe the importance of Early Childhood is to provide each child with a warm, nurturing and safe environment that caters for each individual’s needs. When the children come in each morning, I accept each child as they are my own and enjoy guiding them through their development, by also encouraging confidence and positivity. Early childhood is a place for fun, imagination, adventure, creativity and I believe learning is most beneficial through play. I look forward to creating days filled with fun, kindness and learning for each of your children. Hi, I come from a small Village in County Armagh, Ireland. I moved to Sydney in July 2017 and have enjoyed the sun ever since. I’m 21 years old. I come from a big family of five children and I’m the baby of the house. After secondary school I went on to study my Diploma in Early Childhood and never looked back, I love my job and the fun it brings each day. Having lived in three different countries makes me appreciate the rich diversity of Early Childhood Setting in Australia. I believe in acknowledging that all children are unique and valued individuals with varying interests, strengths, abilities, developmental stages and backgrounds. Therefore, I enjoy building relationships with each child as an individual through implementing child-led play based learning as well as celebrating cultural and linguistic diversity. 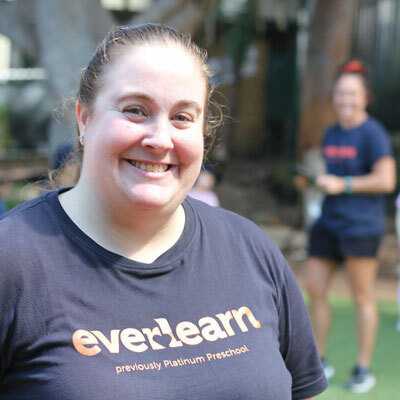 It is my prerogative to be a member of Everlearn Preschool Clovelly team, who dedicates their love and caring program for the children. 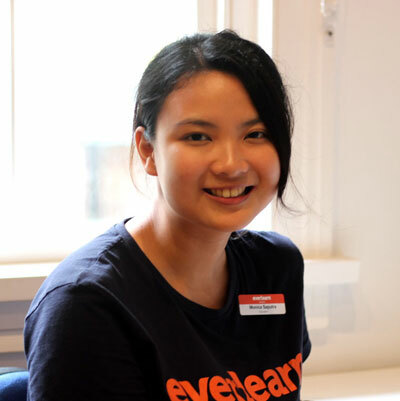 A bit about me: I am a Chinese Indonesian, who lived in Japan for four years and loves living in Sydney. I speak Indonesian, English, Japanese, Chinese and would love to learn more languages. I was born in Semarang (in the middle of Java Island), Indonesia. I also lived in a small city in Japan called Beppu, which is well-known for its ‘Onsen’ or hot springs. Both of my parents, who are teachers themselves, have taught me to be respectful to individual learners who made me who I am now. 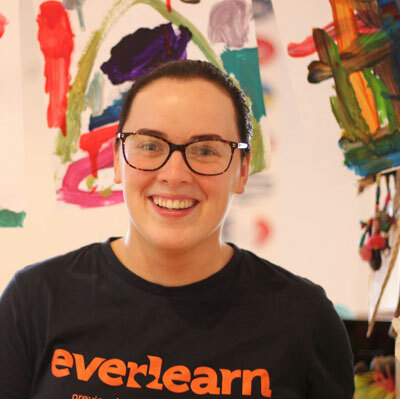 I have been lucky enough to work at Everlearn since 2017. I was born and raised in the northwest of England and have lived in Sydney for 2 years. I have a Bachelor of Education Degree in Early years and Primary teaching and have been a qualified teacher for 17 years. During this time I have had many roles as an Early Years teacher, Kindergarten teacher, Year One teacher and as an Early Years advisory teacher. I am passionate about my job and about the children I work with. I believe in a child centred approach and learning through play. I believe that developing children’s communication, personal, social and emotional skills and their physical skills are key and essential to future learning. Every day I aim to provide a nurturing and caring environment where children can learn, have fun and achieve their full potential. I believe it is my responsibility as an Educator to provide a caring, supportive and safe environment for all of the children. It is important to provide the children with spontaneous, interest based and intentional teaching play experiences that encourage the children to explore, discover, imagine, question, create, interact and develop. I strive to develop friendly, trusting and supportive relationships with all the children. I feel very lucky to be working in a place that brings so much joy and fun everyday! I was born in Darlinghurst, Sydney and have grown up in the Eastern suburbs. I have an older sister who has 3 children and I enjoy being a very active Aunty in their life. Some of my hobbies include - reading, photography, going to the gym, enjoying a Sunday breakfast at a local cafe and coastal walks. I completed my high school work experience in childcare and knew from a very young age that I always wanted to work with children. 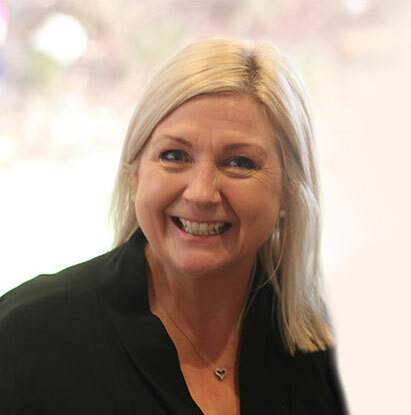 After I completed my Diploma qualification I have been very fortunate to have worked the past 14 years in childcare in a number of different roles. I treasure the memories made and look forward to making many more. I am very grateful to be a part of the children’s early childhood years. 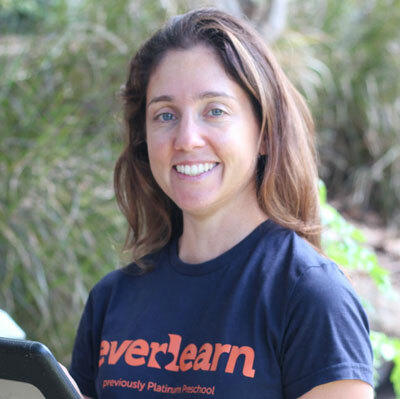 As Everlearn's Music Specialist I believe that music is an essential component of every child's education. It encourages children to be creative and take ownership of their own ideas. I use the Orff Approach to music with the children. The Orff Approach is a ""child-centered way of learning"" music education that treats music as a basic system like language and believes that just as every child can learn language without formal instruction so can every child learn music by a gentle and friendly approach. I am passionate about helping children develop a love of healthy food and to be open to trying a variety of different foods. I enjoy preparing a varied morning and afternoon tea and trying out new and exciting recipes. I believe in nurturing children to be social beings who learn to respect each other and care about each other's feelings. I also believe the development of early writing skills is very important and should be encouraged and nurtured. I grew up in a strict household in the Phillipines and moved to Australia in the 1980s. I have had a lot of experience in catering and working in care homes before moving into Early Childhood. I am a very compassionate person and I love people. I am happy, energetic and I love trying food from a variety of cultures. The concept behind Everlearn was three years in the making before we opened our first campus in 2010. 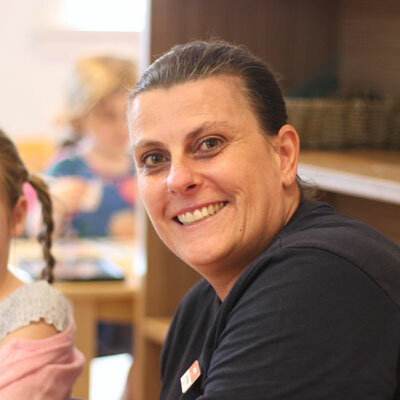 Being a primary school teacher myself at the time, and looking for suitable a preschool for my own daughter, I saw a desperate need in the Sydney area for preschools with a strong focus on early education, school readiness, and values education. With a clear understanding of the social, emotional and academic skills that children need to successfully transition into the primary school world, I set out to create a preschool that balances these skills and helps children to develop a love of learning and a sense of belonging in their formative years. 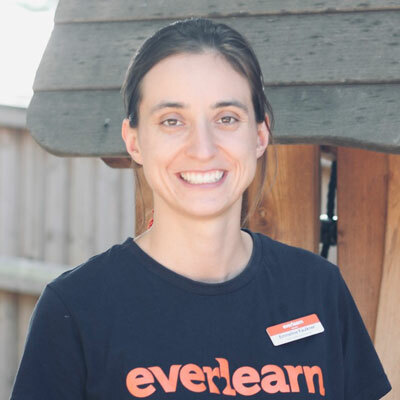 For nearly 10 years I have worked with Nichola and our team of exemplary educators at Everlearn Preschool. It has been my privilege in that time to see thousands of children walk through our doors and grow over their time with us into confident and brave little people, ready to take on the world. 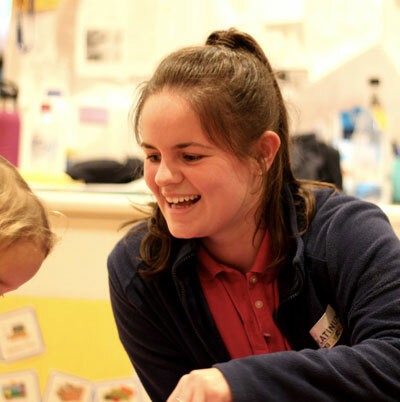 Every day I see the impact that our early educators have on the lives of the children at our centres, from assisting children in developing their social skills to exploring new learning experiences and everything in between. I am proud to be able to support them in the incredibly positive impact that they have each day in the most formative years of our children's lives.